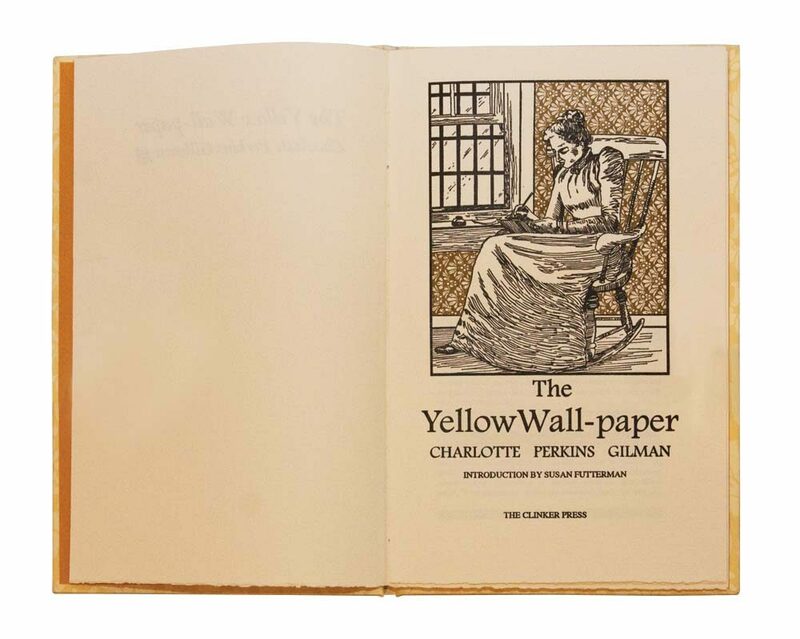 The Yellow Wall-Paper by Charlotte Perkins Gilman is a hand-printed and hand-crafted hardbound book from Clinker Press. 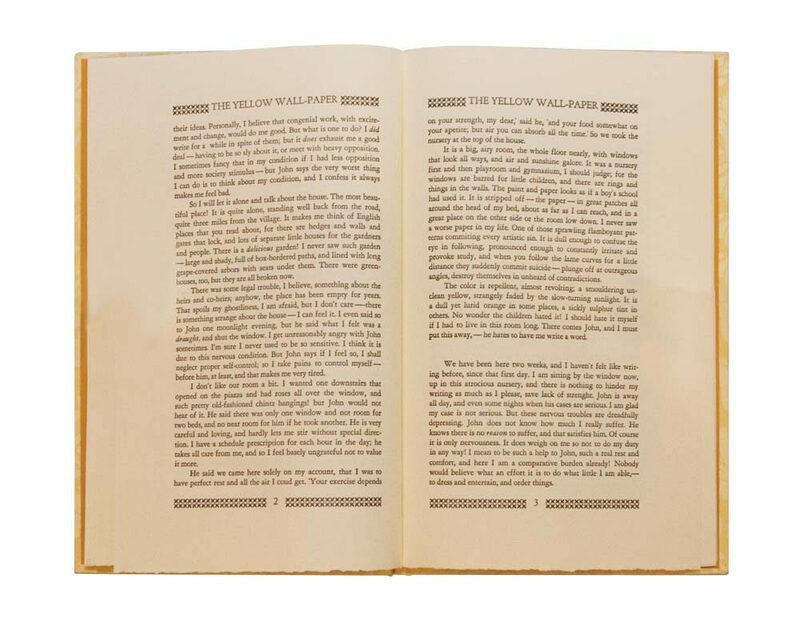 The Yellow Wall-Paper by Charlotte Perkins Gilman is a hand-printed and hand-crafted hardbound book from The Clinker Press. 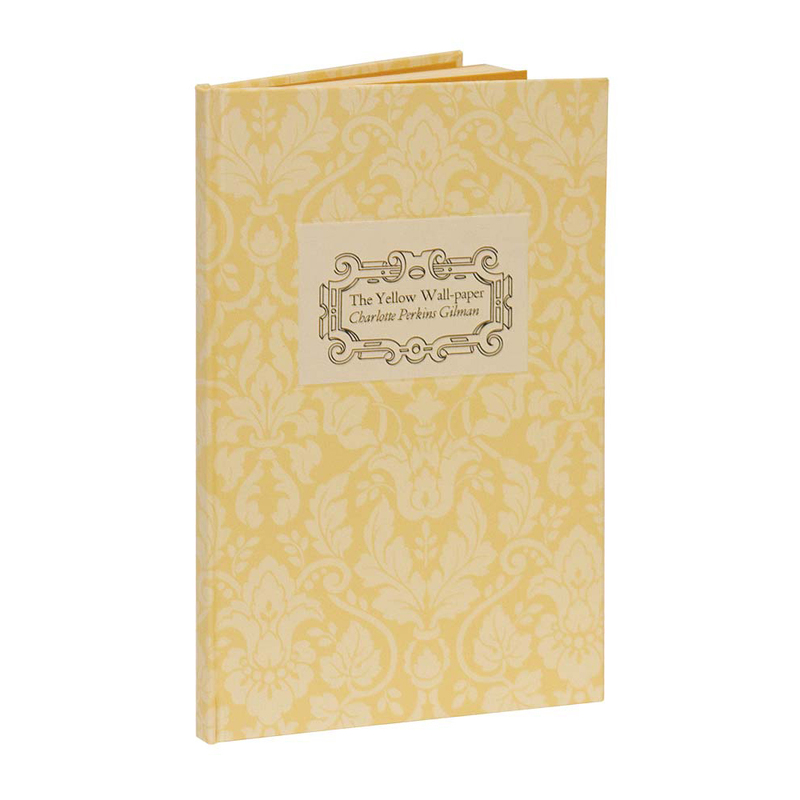 The book features the quality and power of presentation you expect from a letterpress product of The Clinker Press. 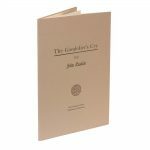 The Clinker Press’ first printing of this volume took place in December 2007-January 2008. 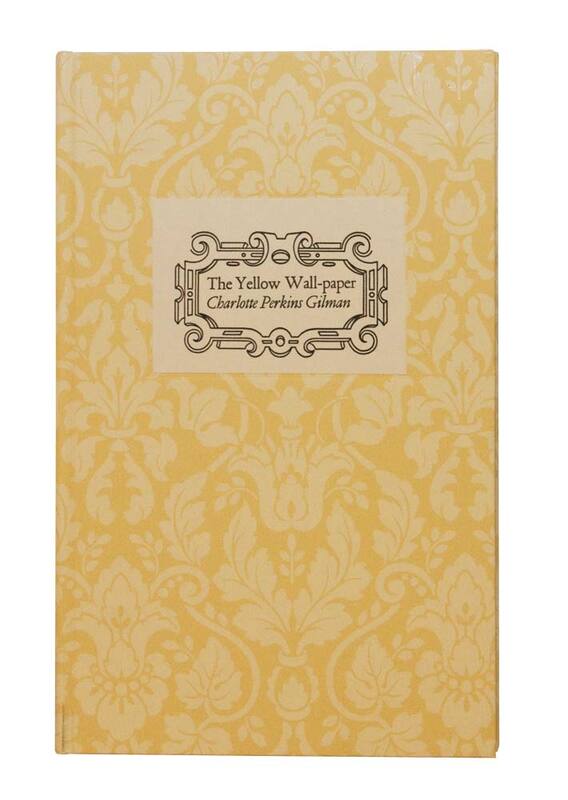 The Yellow Wall-Paper is available only in limited quantities. We encourage collectors to order their copies now, because the supply is nearing exhaustion.